I love buying and selling vintage things and running my Etsy store. It is a lot of work, but I’m my own boss and create my own schedule. But lately I’ve been getting a lot of emails from people that leave me shaking my head. Here’s the thing…this is NOT a scrap item. 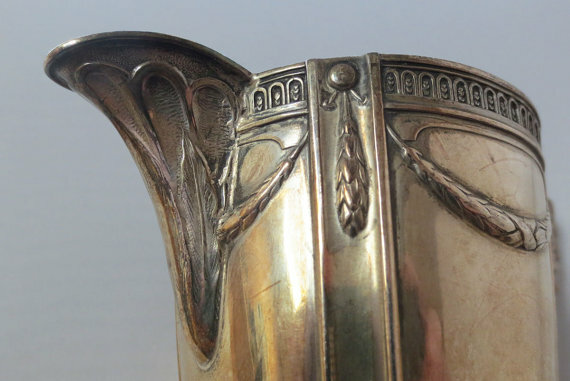 This is a beautifully crafted, scarce sterling silver creamer by German silversmith Wilhelm T. Binder. It is heirloom quality and a similar one sold for close to $200 a few years ago. I’m not even going to respond to this guy. No point. Obviously he doesn’t appreciate that the value of an antique is not just in the material it’s made of. Now yesterday’s message was from a new Etsy store owner. 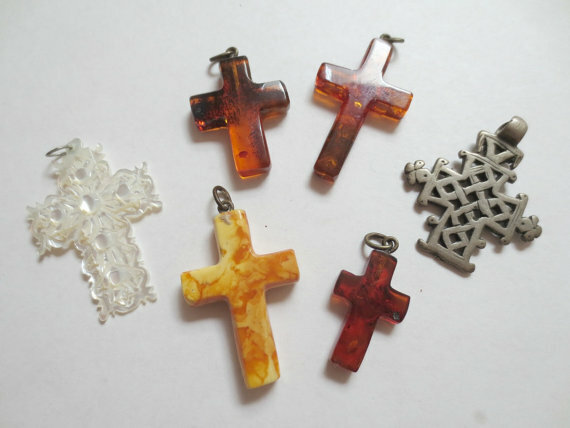 She made an offer on a set of vintage crosses I have in my store…and she wanted free shipping. (Mind you she doesn’t offer free shipping. In fact her shipping for one ring cost more than mine for 6 crosses!) Essentially she wanted a 30% discount and these crosses are already reasonably priced. (Dang girl, that’s cheeky!) I rather wonder how she would react if someone offered her 30% less for one of her rings. I declined her offer. And the day before that I received a well-intentioned, but ever-so-slightly snarky message. A woman told me that a Staffordshire figurine I had in my store was actually a 1920s/1930s reproduction and she listed some clues why she thought it was, and as such, it was nearly valueless. Do the research if you want to learn. Glad you didn’t back down. Sounds to me like some of the competition out there is intimidated. Yes these comments are so negative. I knew an antique dealer who never loved the beauty or craftsmanship of the items he bought and sold. Just like the person’s comments regarding the silver items, they don’t see or appreciate beauty. It’s like a beautiful Van Gogh, Oh the canvas is only worth $5.00 and paint he used a couple of dollars, so I’ll give you $7.00 for it. I know the comparison is ridiculous but these type of comments remind me of this. Just ignore these types. Let them go on their way melting down beautiful works of art.